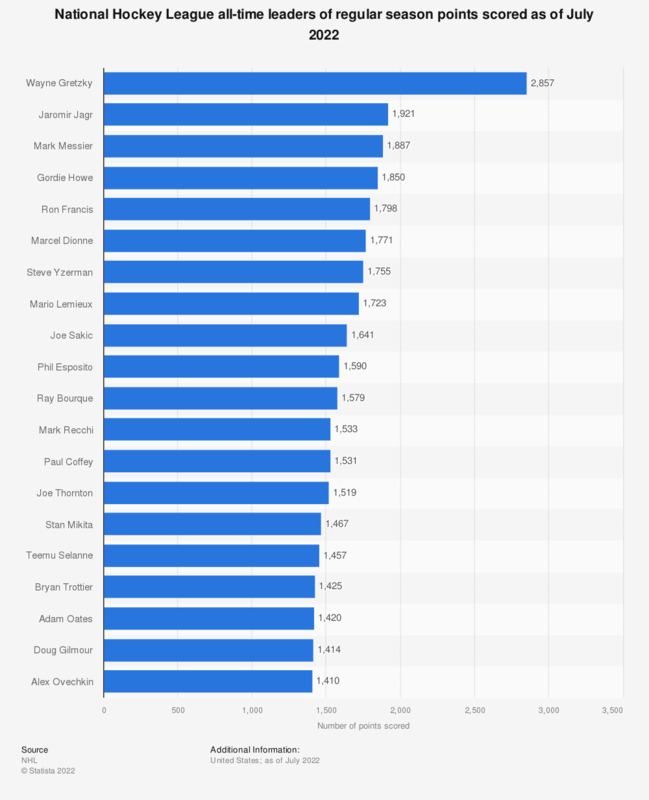 The statistic shows the all-time points scored leaders in the National Hockey League. Wayne Gretzky has scored the most points with 2,857. Are you an NHL hockey fan? Do you subscribe to NHL Game Centre Live, or did you subscribe in the past?